of SCP-3100. Collapsed area not visible. Special Containment Procedures: SCP-3100 is to remain cordoned off to civilians under the cover of ongoing research by the Geological Survey of South Africa (GSSA). Access to the surface site is granted to personnel with clearance level of 2/3100 or higher. Access to the subterranean portion of SCP-3100 is prohibited. Description: SCP-3100 is a former secure Foundation site dedicated to the interment and indefinite preservation of deceased key personnel. It comprises an extensive natural cave system extending more than 900 metres downwards from a limestone outcrop in Gauteng province, South Africa. It contains more than 5 kilometres of naturally-formed passages lined with an estimated 4,000 niches measuring 210 x 70 x 60 cm (± 5 cm). Niches appear man-made, bearing precise dimensions and smoothed walls, despite their geological age indicating otherwise. SCP-3100 also comprises two man-made structures: the former administration building on the surface, and its attached residential outpost located 120 metres below. The placing of a recently-deceased and intact human body1 inside any of the niches of SCP-3100 allows the free access of the deceased's memories by individuals within the cave complex. With training and sufficient use of mnestic drugs, this ability can be perfected, enabling the free retrieval of information known to the deceased, as well as emulating possible thoughts held by the deceased. Additionally, remains placed within SCP-3100 do not decompose. Using these effects, Foundation researchers were able to devise a protocol for preserving key personnel and holders of sensitive information, effectively retaining their memories and expertise for future reference after their deaths. The proposed protocol was reviewed and approved by the O5 Council in July 2012 under Project AMURTAT. Under Project AMURTAT, over seven hundred Foundation personnel were interred within SCP-3100 from Feburary to October 2012. Their memories were catalogued by the members of Task Force 707, a specially-selected group of senior operatives permanently housed within Area-707's subterranean outpost. In the interests of information security, members of Task Force 707 were the only individuals authorised to enter the actively anomalous portions of SCP-3100, and were thus also tasked with the interring of its occupants and exploration of its underground passages. On the morning of 2012/10/06, during one such exploration, members of Task Force 707 activated a previously-unknown anomalous effect within SCP-3100, resulting in the loss of consciousness of 12 of the 13 task force members. Interviews with survivors have proved inconclusive due to self-administration of intravenous amnestic drugs. Intercepted communications at the time reporting of altered topology within SCP-3100's deeper levels could not be confirmed by surface GPR scans. 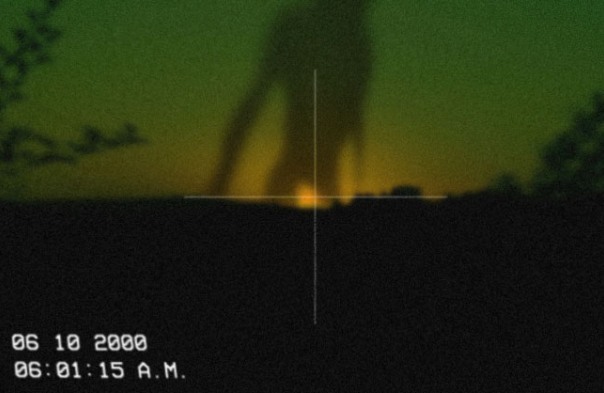 Currently, due to the inaccessibility of SCP-3100's anomalous areas, it cannot be confirmed if SCP-3100 still retains its original effects, or if it has developed new effects following this incident. Proposals to clear the tunnels and explore SCP-3100, as well as rescue the remaining trapped member of Task Force 707, have been denied on safety grounds. 2011/09/14 - 2011/09/30: Discovery of anomalous location by local search and rescue. Embedded agents within local authorities interview witnesses and facilitate site acquisition through Foundation fronts. Cadaver-preserving properties of anomalous location is investigated and verified by initial containment team through use of local resources. Location is documented as SCP-3100. Recovered file photo from Gauteng police, dated 2011/09/14. Assessment brief: Received reports of possible extranormal event from Agent B. Radler in the police 2 weeks ago. Gauteng search and rescue tracked 2 missing hikers to cave system about 15 km west of Lanseria, Gauteng. 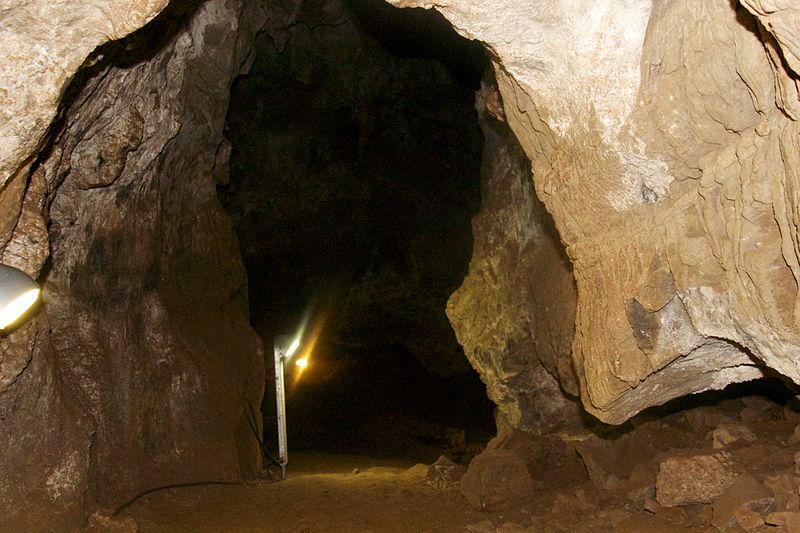 Bodies of hikers found in rock "shelf" hewn into cave walls. No signs of struggle detected. Cause of death unknown. Traces of benzodiazepine found inside remains of opened blister pack nearby. Notably, bodies were described by the first witnesses as being remarkably well-preserved and without smell, leading the initial report to describe the deaths as recent; however, the bodies rapidly deteroriated when removed from the cave, and autopsy estimates time of death as approximately 1 week prior to discovery. Yesterday, interviewed a member of the search and rescue team with Agent R.. She claims one of her party has taken sick after the discovery of the bodies. Further investigation reveals that person in question has not left house since returning on Sunday. He shows signs of recent psychic intrusion exacerbated by low mental resilience. Recommending initial containment team be trained in at least level-1 cognitohazardous phenomena. Received by: Senior Agent J. Bvopfo, Site-747 Asset Recovery. Excerpt of transcript from the audio testimony of H. C████████, cave surveyor working with the ████████ ██████████ organisation. Interview conducted 2011/10/06 shortly after on-site Foundation intervention. H.C.: It was shrunken, like old wrapping paper. I heard Chris scream and drop his torch, and it hit the rocks and broke. Radio went wild at this point, guys on the surface asking what's going on, all I manage is that there's something down there. Something dead. Right left of where I was, I knew there was another hole, and before I turned to look I could see a shape there too, something small and dry. H.C.: I've recovered dead cavers before, as part of the job. But this was different. They looked - well, they weren't human. Not yet, anyway. Too small, with skulls the wrong shape. And their fingers were wrong. They weren't fossils. They were flesh and bone - like they were recently dead. That was what started giving me the chills, I guess. I looked away, you know? Had to keep my wits. They were far too fresh. Unnaturally so. H.C.: So, the tunnel. The tunnel went straight on down for another, what, forty? Fifty metres? I couldn't tell from sight alone, but the torchbeam seemed to indicate as much. And over on the left and right, more of those little shelves just going all the way down into the dark. Chris, he lost his head by then, his lights were off and he was tugging at the rope, screaming, crying. Something about rotting, he said. Like a bucket of worms. He said he'd seen it with his eyes. I lost it too, and I screamed at him to shut it - and for a moment it was quiet except for the sound of rope against rock and the beeping of our comms. Then it hit me. H.C.: I didn't look down the tunnel too long. What I saw in that moment, I don't know how - paper-thin feet and legs and skulls, endlessly kicking, endlessly turning, as if they were small children dreaming a nightmare - I could feel all too well with my mind. It was obscene. It was buzzing, too, like flies. I looked away, because I was scared of what I might remember. H.C.: Considering I still remember it, it's not like that did me any good. 2011/10/10: Handover of site to Foundation front Satie Logistics completed. Satie Logistics conducts initial exploration and mapping, discovering that SCP-3100 extends far deeper into the mountain surface than indicated by surface GPR. On-site research team fully catalogues SCP-3100's anomalous effects. Psychological effects experienced by initial exploration team are explained as psychic feedback due to accessing non-selfed memories stored within SCP-3100 without prior conditioning. Recovered entries dated 2011/10-2012/01 from the work journal of Dr. N. Coetzee. Dr. Coetzee worked as the assistant head of the SCP-3100 provisional research team during initial containment. We've given up on the cryoagents and vacuum seals. Today Maas finally managed to get some kind of scanning equipment down there. She says she improvised some kind of rig to stop them from moving so the scans could resolve. We sent them out twelve hours ago and now her boys back on site are saying what we suspect: the skulls and general skeletal distribution strongly imply some kind of Erectus precursor, but with smaller frames. Special attention's being paid to the hands, appearing more highly developed than expected - fingers are longer and less curved, while some of the scans indicate pronounced thumb pads, suggesting heavy use of dexterity. It's not often that they can make these kinds of pronouncements from soft tissue, so they're understandably excited. The camp is split between whether the holes are artificial or anomalous. Maas and I find ourselves leaning towards the latter, Occam be damned. Prehistoric stoneworking leaves its distinguishing marks, but the tombs' walls are smooth as marble. Earlier this morning we had to hoist out another one of the survey team. One of ours, this time. The man was strung out of his mind, lips pursed and teeth bared, clawing at the air in front of his eyes with his twisted fingers. He might have tried to speak - it was hard to tell from the sounds he made whether he was still conscious. Maas noted that he'd bent his thumbs back like they were broken. Psych sedated him, but his body continued to grasp and fidget like one of the corpses. He became calmer by nightfall, but Dr. Bruckner on site is still curious, so we're lifting him out first thing at dawn. The more we look, the more we're finding. Today the team found another unmapped branch and sent down a probe on a string. There were at least five dozen holes, all empty. This brings the total depth to about half a kilometre, still technically above ground level, and well within the expected limestone layer for the region. But even when we're down five hundred metres, the holes are all the same. It's driving me up the wall. Bruckner's interest appears to have been piqued. He came with a few of his department in the morning, with a few frozen samples and psychometric gear. Maas' team wasn't even cleared to be near it - though, as I later told her, I could make little sense of it anyway. The doc moves in circles both greater and stranger than ours. Six hundred metres. We were supposed to finish when build team had mapped the cave, but it just keeps getting deeper. Sometimes I dream of my body immersed in green water or dense rock, unable to even turn or shout. Or I'm climbing trees I've never known, limbs gripping onto dry bark with recurved thumbs, and in my head is an alien song. It's getting to me too, even if I don't show it - at the end of the day, the work has to be done. Bruckner's samples are at least a week old at this point - and we haven't smelled a thing. Interestingly, the mental haze seems to have eased as well - in its place is a lingering sense of "used"-ness, a calm that isn't my own. I don't know what he and his team are up to down there, but he tells me that he's only monitoring the situation. In fact, he seems to be as surprised as I am, and even a little pleased. Maas thinks it's funny, but I think it's scary. Few things please Bruckner, and the things that do are better left unmentioned. I think I know what they have in mind. Can't say I look forward to being a part of it, but at least we're shipping out tomorrow. There's something on the horizon. 2011/11/02: Drawing from previous documentation on similar projects, Dr. M. Bruckner's secondary research team designs a psychopharmaceutical regimen enabling individuals with sufficient mental resilience to interface with SCP-3100. 2011/03 - 2011/12: Loss of key personnel due to unprecedented SCP-1718 escalation incident on 2011/02/02 leads to Overseer Council revisiting proposed personnel backup solutions. Fears of possible future escalation event leads O5-12 to attempt recovery of deceased key project researcher Dr. J. B. Hedley via any means possible. Subsequent investigation into SCP-3100 by the office of O5-12 in December 2011 yields promising results. The use of SCP-3100 for such a purpose is jointly proposed by O5-1, O5-3 and O5-12. Proposal is rejected at 4-9 votes. Marsh here. If you're reading this, welcome to the cave. It's quiet down here, but chances are you won't mind. We're old souls, you and I, and we need our peace. The organisation you and I know is built on the secrets that its people carry. Our job is to make sure that they don't take them to the grave. If you've been cleared for the logs, you probably have an idea of what that entails. Down here, we work for the dead - we speak for the dead - and when we have to, we put their thoughts to rest. This is something they don't like to mention to others. The people we keep down here don't have much of people left in them. If there's such a thing as an immortal soul, I haven't seen it yet. What's left down here are dust and echoes. These bodies don't feel or think much like we do, not any more. You have to understand, the cave doesn't bring them back to life. It just keeps them from rightly dying. So each of us here has our own ways of dealing with this. For me, this is the only thing that lets them pass, in a way, once fate and necessity have chosen for them to stay on. They unselve themselves into me, and that becomes a kind of closure. Maybe this works for you. Or maybe you've seen enough of dying to find a level of yourself instead. That's fine, too. Above all, remember your duty. The Foundation needs its dead, and the dead need your tongues. Don't let them die a second time. 2012/01/15: The office of O5-12 begins construction of Area-707. Task Force 707 is formed with thirteen full-time members, led by senior field operative Joshua Marsh. 2012/02/25: O5-12 unilaterally commences Project AMURTAT with trial stage of 32 applicants. Condiments - monthly requisitions collated by Senior Agent Zhang Y. W.
2012/04/10: Trial stage is successful. Size of initial intake is planned to be 72 in total. Initial list of AMURTAT-eligible personnel is compiled, consisting of 150 individuals. 707-01: Marsh here. An update seems to be in order. New bodies are doing just fine, thank you for asking. We're a little on edge here after Julia dissociated on her last dive, so we've been trying to take it easy these last couple days. She's doing fine herself. Just needs a little more rest. It's just that without her, the memories just aren't flowing as they should. The spaces aren't as connected as before. 707-01: There's thirteen of us for a reason. Thirteen ain't symmetrical, and it keeps us from overflooding. It's already hard for some of us to keep things straight. Most of us, we've been around. We got nothing against getting our hands dirty. But death in your hands is a whole different song when you've got the same death itself knocking around your skull. That's where the problems start. Nothing cut and dried, mind you, but a feeling like you're seeing down the wrong side of a camera, wrapped around and touched something you aren't supposed to. Like closin' an eerie circle, around hand and mind and all. 707-01: Meantime, I've been familiarising myself with the folks here. First the two I'm assigned with, and then the rest, if they're willing. So far the fragments have been telling. It's not easy, finding a hole without a center, and working around that to get answers is tricky. But I've gotten some distance with the Hedley fellow - the scientist, working on that disc before it broke. Baby steps - half-memories of a lake. Dreams, a cool wine on a hot summer's day. Christmas at Site-06. From there it goes further back, and from there I can start to build. Seems like there's plenty of knowledge here - if I can work it out from scratch. He'll be remembered soon. 707-01: See, by right it feels just like remembering, only a lot more wider. Different, more parallel. Grace was right - we sieve them, we pass them into ourselves, so that they can pass on out of themselves and into our minds. Given a lot of what we do in our organisation, I figure it's a refreshing change. Outside, they tell you to forget. Down here, we tell each other to remember. 2012/05/21: Commencement of initial intake of 49 individuals. Successful communication established with 92% of interred individuals. Successful validation of identity established with 61% of interred individuals. 2012/06/23: Commencement of second intake of 183 individuals. Successful communication established with 95% of interred individuals. Successful validation of identity established with 75% of interred individuals. 707-03: Zhang reporting. Thought you'd like to know. The pictures are on the way up. 707-03: I've gone over whatever I managed to take. They're a little dark but they'll do. 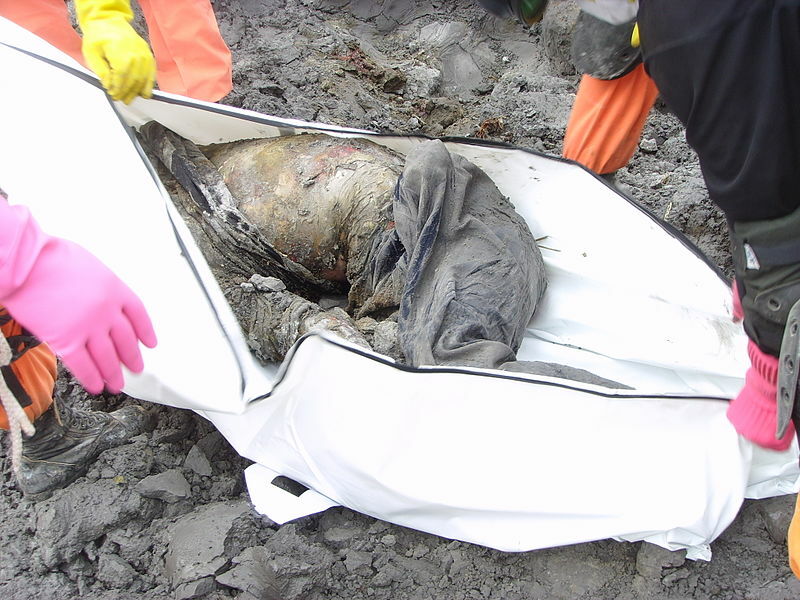 The bodies look almost similar to what was recovered by Maas and their team. They're a bit more broken up here, open fractures, neck wounds. And their fingers still bend back. I haven't dared to move them, so they're still here, but I've tried probing for them in my mind in my free time. If they're still in the holes, then it stands to reason that they should've been in our heads all along. How does one listen for a prehistoric mind? For memories separated by aeons? Before language, before rationality? 707-03: To tell the truth, there's something about this that scares me. These bodies are far too deep. We made it with lights and ropes, sure. But I imagine the people that brought them here. Dragging their mother or father by the ankles down these same tunnels, rock tight around them, in the pitch black and the cold. What would they have thought? What would they have felt? The same fear we do, I'm sure, even if they hadn't the words to say it. The same fear I felt. Perhaps we'll have that in common. 2012/07/01: Project AMURTAT is jointly reproposed by O5-1, O5-3, O5-6, and O5-12. Proposal is passed at 7-6 votes. 2012/09/26: Commencement of third intake of 538 individuals. Successful communication established with 100% of interred individuals. Successful validation of identity established with 100% of interred individuals. List of AMURTAT-eligible personnel expanded to cover a total of 692 key appointment holders and 1,308 subject-matter specialists. Text file recovered from the laptop of Grace Chandrasekar, operative 707-09. Zhang fainted the other day. That makes two of us. We're debating whether to send him up or not. The director is deliberating - she and her men fear the information we have down here like a plague. Information security be damned, she talks like our minds have been tainted by some horrible contagion. Corpse disease. To them, we're the things in the black box, the voices spitting up the names and numbers of the dead, the contaminated Sybils behind the curtain. For us, it's taking a toll. This space ain't a clean one. Imagine a large hall, full of people - their whole lives, shells and shells - broken up and crammed into the smallest, darkest space that you can think of. Now imagine that space inside your mind, and you'll begin to realise what we mean when we say that hell is not a place we go to when we die. He saw something down there. I'm sure of it. When he was under, I heard him whisper things about his fathers and mothers, and I saw him do the thing with his hands that the first subjects did - I'm not sure what's going on. Maybe we aren't as alone as we thought down here. The other mind speaks, and some of us can't help but listen. He's speaking again. We need to do something. 2012/10/04: Task Force 707 reports difficulties in sustaining volume of personnel stored within SCP-3100. Three personnel possibly incapacitated due to neurochemical complications. According to standard information security protocols, incapacitated personnel are not evacuated until full RAISA team can be deployed on-site. As stopgap measure, reserve personnel are activated from Site-747. ETA of reserve personnel is 48 hours. In the morning of 2012/10/06, members of Task Force 707 decide to attempt further exploration of SCP-3100, ostensibly to investigate the cause behind the incapacitation of 707-03, 707-04, 707-12, and 707-13. Operatives 707-01 (J. Marsh) and 707-09 (G. Chandrasekar) volunteer. Both are equipped with standard exploratory equipment. Exploration commences at 0500 hours. 707-09: Marsh, you sure about this? 707-01: We've done this before. It's nothing new. Just wish you would've told me sooner about this. 707-09: You have too much on your plate. 707-01: I'll manage. I've had worse. 707-09: A third of us are gone. 707-01: So enough of us are left to get answers. Whatever's been doing this, it's something the initial team didn't care to find. Something they overlooked. 707-09: If something happens to us, you know what's going to happen to the rest. 707-01: Zhang said it went on deeper from where he stopped, so I figure there's something beyond that that's worth exploring. He said they couldn't go any more on account of the narrowness, though. 707-09: You're changing the topic, Marsh. 707-01: These here are directed water charges. Ordered those from upstairs the other day. Old gear, a task force classic. You know, we used to bust open door handles with these back in the 50's. 707-09: Marsh, we're going to be taking a big risk if there's something, down there. Something that was strong enough to take out four of us through our minds. 707-01: Well, you going to tell the Director about it? 707-01: I figured as much. 707-09: You know, Zhang told me he was having dreams - before he went under. 707-01: What kind of dreams? 707-09: Marsh, don't play dumb. Let's clear the air here, you and me. You know that scene as well as I do. 707-01: That's why you're going, huh? 707-09: Look. We've all been having them. We can't hide that any more. 707-01: Who've you asked, Grace? 707-09: Matthew. Kumiko, Durand, Thuy… they're all saying the same thing. Inside, they're scared. I think even you're scared. 707-09: You're scared that we've all been dreaming the same thing. 707-01: Little bit of that, little bit of something else. 707-09: What's the something else? 707-01: That this is what happens to us when we die. 707-01: Looks like it's your turn to be silent. I can tell you're scared, too. 707-01: All this time we thought we were looking for them, but they were all around the noise all this while. 707-09: Upstairs doesn't know about this either, you know. 707-01: They can't touch us down here. Closure is something we'll have to get at ourselves. Here, give me a hand. 707-09: There's something different about the body here. Lemme move the camera in there real quick. 707-09: Are you seeing this? 707-09: That's your face. Marsh, it's got your face. 707-01: Down here, down here, it's not what it should be. You get up, tell the others. Something's wrong. At this point, Chandrasekar separates from Marsh, and opts to head back up the passage. Marsh's radio continues transmitting as he proceeds lower into SCP-3100. 707-01: This space is different alone. Quieter. Here, I'll turn off my light. 707-01: To those of you listening up there, hold fast. Things might get a little rough as I go deeper. 707-01: Grace, you seeing this? Oh Lord, are you seeing this? It's just holes and holes, but they're all full this time. What a beauty! 707-01: This is why we haven't been feeling them. (static) So many. It's like finding a breeze in a whirlwind. 707-01: The walls are getting smoother. It's like this place is more remembered, more well-worn. Tunnel's opening up to just my size, (static). 707-01: I'm breaking up. I'll check back with you later, Grace. We're getting close. 707-01: You know, I've done some thinking. About the duty. About what we thought was right. 707-01: I don't think I (static) wrong. We needed to remember, for their sakes. Not like anyone else would. And hell, it's a fitting end to a fitting career. 707-01: You know what I did for a stint, before here? Out-processing. Faced men and women even older than I was, told them to either pick the needle or the bullet. Nine times out of ten, the look in their eyes was enough. You work here long enough and you start to find, you'd rather you take your legacy to the grave than live without it. We're damn proud of what we do here, Grace, even if you and I don't admit it. Hell, I never really gave it much thought until outpro. Until here. 707-01: Here, it's different. Even if what we find down here doesn't make it to the surface. It stays somewhere they can't touch. And to me, I think I've found that that's a blessing. It really is. 707-01: Plus, you get older, you tend to wonder what's that (static) lays beyond. Heaven or hell, maybe. Or Nirvana, or Corbenic, or the Nether Courts. Folks like us know different. There's only room for so many gods and devils, and I can count the ones I've fought on two hands. Folks like us, we know that mankind is all that treads between the chaos and the void. And we know we've got the latter waiting for us when (static) die. That's just how it is in the business of folks like us. 707-01: But down here, the void isn't everything. Sure, you might die, but you make enough of a difference around here, you can find a way out. Find someone else to carry on for you. We are that someone else. We were, perhaps, until now. (static) Maybe they'll shut us down. Maybe we'll go. (static) The thing down there, it isn't waiting to take names. But at least we'll go knowing that we made a difference. 707-01: (static) It's up ahead. I'm here. Colourised heatmap of peak [REDACTED] radiation output of SCP-3100 on 2000/10/06 compared with topographical-neutral gradient benchmark. At this point, the temperature inside SCP-3100 is detected to briefly rise from 20°C to 39°C for a period of 429 seconds. Simultaneously, on-site personnel begin experiencing a series of symptoms comprising of abnormal fear, cold sweat, and peripheral visual hallucinations of caves. No distress call is recorded from Task Force 707. Disregarding information security protocols, Director Nfude orders for Task Force 707 to be immediately evacuated from the subterranean residential outpost. Her orders cannot be transmitted owing to a site-wide failure in electronic communications. Fearing further anomalous activity, she orders for essential personnel to leave Area-707 via helicopter, while staying behind on-site with a team of security personnel to ensure the safety of the task force. At 0637 hours, security personnel gain access to the subterranean residential outpost, finding twelve of the thirteen task force members unconscious. Communication lines to the surface appeared to have been recently cut with a can opener. Senior Agents G. Chandrasekar, M. Radler and Ishikawa K. are found with opened autoinjector sachets of Class-A amnestic in their hands. Senior Operative G. Chandrasekar demonstrates symptoms of neurochemical shock, likely due to negative interactions between the Class-A amnestic and her existing psychopharmaceutical dosages. Security personnel report feeling unease while within the outpost, and are advised to swiftly evacuate the remaining personnel to the surface. Senior Operative J. Marsh is left unaccounted for. Further access to the underground complex is barred as the entrance has been collapsed using directed explosives. By 0700 hours, all relevant personnel are evacuated to Site-747. Thermal imaging shows a large amount of heat dissipating in a column above Area-707. At certain frames of the footage, patterns of [REDACTED] are observed, suggestive of high-energy emissions in the aetheric spectrum. Cause of the containment breach is presently unknown. Further investigation is forbidden upon order of the O5 Council. The footage doesn't lie. We saw where it went. My department's spliced the frames from what we could scrape; needless to say, I think your hypothesis warrants further investigation. What we're seeing here are, in layman's terms, field lines of a sort. After a transform or two, we've managed to pinpoint both an origin and a direction. It wasn't easy, given the limited data set. But by diverting uptime from ZELOS and BIA, we've managed to confirm the same on smaller-scale manifestations via the neural network readings. It's flowing somewhere, all of it, all of the time. We just couldn't pinpoint what it was until now. Something bigger than this is happening. Something deep inside the Earth has awakened. I've given the coordinates to 1's team: N 21° 33' 28.5", E 89°31'41.0". They'll know what to do with it. In the meantime, what's left of the project is yours to keep. May the rest of the Council be merciful, for I have done all that I can. Hey, it's Marsh. Don't know if you're still listening, but I'm still kicking. It took a while to get used to. It's dark down here. Torch ran out ages ago. But you don't need eyes to see, this far down. Either way, I've found it. Where all the smooth walls come to an end. Old, like I've been here a thousand times before. Oh, in a dream or two. It's not a grave, it's a throne. And there's another grave, beyond the sea, watching, waiting, eating. The first emotion felt was terror. We weren't wrong to come here, to the throne of our grandmother. But something's on the move now. Something ancient and vast and ready to settle a score. Don't worry. I wouldn't, if I were you. 1. Estimated viable time period following death is 20 hours, though standard post-mortem refridgeration techniques can extend this to as long as 32 weeks.